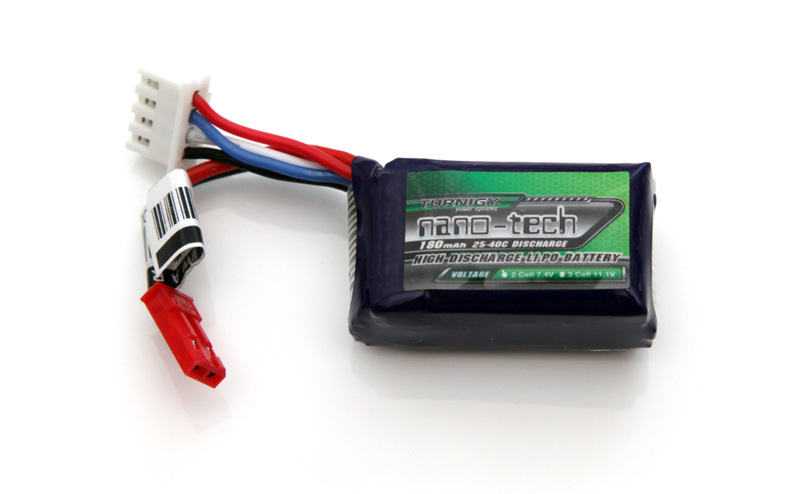 The 3S 11.1V 180 mAh Turnigy Nano-Tech 25-40C LiPo batteries are one of the smallest 3-cell Lithium-Polymer batteries available used in small-scale radio controlled models such as mini and micro cars and planes. Not to mention that these Turnigy batteries are available at a quite attractive price at hobby King, so you can buy more just to have a few spares. Of course if they are able to handle the high discharge rates that they are rated at – 25C constant and 40C burst, they could be really great, however still need to check it along with the capacity they can provide. Time for the actual tests, starting with a 1C discharge rate (0.18A) for the 3S 11.1V 180 mAh Turnigy Nano-Tech 25-40C LiPo battery we’ve managed to get 173 mAh as a maximum capacity and that is a bit short from the 180 mAh rating, though quite close to what it should’ve been. Moving to higher discharge rates such as 5C interestingly enough the battery was able to supply 182 mAh and 179 mAh at 10C discharge rate, apparently due to the fact that the temperature of the LiPo cells increases and the internal resistance gets lower at the higher discharge rate unlike at 1C. The temperature of the battery remains in the safe zone 55 degrees Celsius at 15C and 20C discharge rates and at 25C it gets a bit too hot at 73 degrees Celsius (out of the safe zone of up to 60) while still providing 165 mAh. We would not recommend using this battery at more than 20C for constant discharge rate, though the 3S 11.1V 180 mAh Turnigy Nano-Tech 25-40C LiPo battery may work well at 25C if properly cooled for example in a RC plane. In overall good performance and results that pretty much match the specs of the battery, though with some things that you should have in mind. Getting the battery too hot can permanently damage it or cause it to start a fire!